If you’ve had a bit of wilting and drying this summer, you may not have the best plants for heat tolerance in your garden. Slight shading and mulching can do a lot to protect a more delicate plant from the intensity of the summer sun, but sometimes it’s just not enough. Try these heat tolerant plants next year to help the garden thrive in all weather, and check out the best heat tolerant shrubs and heat tolerant trees for more permanent fixtures. Most of these will do well in full sun, tolerating heat and drought without losing their summer charm. Heat tolerant plants often do well as part of a permaculture or xeriscape landscape, placed around plants with similar water and nutrient needs. Echinacea: Also known as coneflower, echinacea is used as both a lovely garden flower and a beneficial medicinal herb. Blooming with brightly colored, daisy-like flowers, Echinacea will bring in pollinators as well as visual appeal through the hot summer months. In some regions, Echinacea will return as a perennial. Allow it to go to seed for a self-sowing patch with wildflower flair. Hardy to zones 3-8. Blackeyed Susan: A popular and classic wildflower, black-eyed Susans thrive in the fields and roadsides throughout summer, without anyone tending them at all. See blooms as late as October, in containers or around borders. Hardy to zones 3-9. Blanket Flower: Bursting with color, some with gradients of summertime oranges and yellows, the blanket flower will bloom through summer and into fall. Expect heights of up to 18-inches and growth into a mound shape as wide as two-feet across. Hardy to zones 3-10. 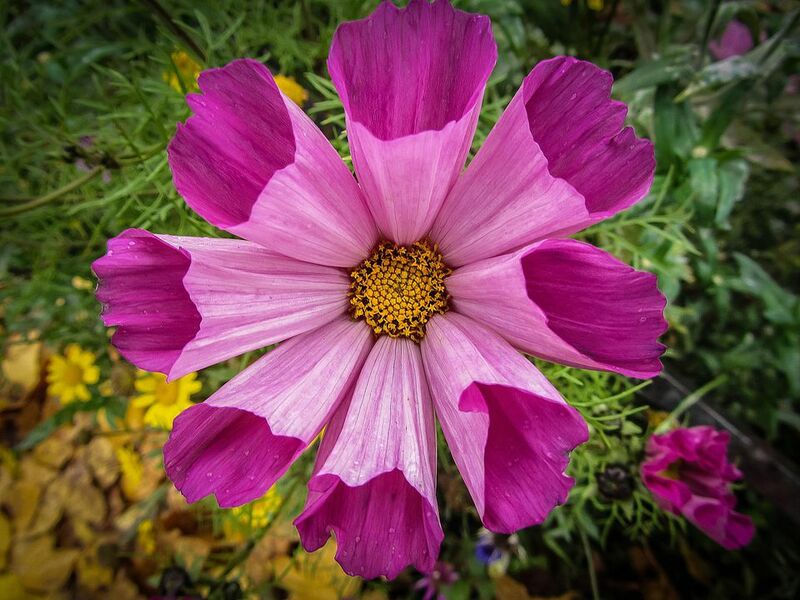 Cosmos: Showy annuals with brightly colored blossoms are refreshing in the late summer heat. Cosmos flowerheads rest on top of tall stems, with a range of designs, from multiple cups surrounding the center to one large open bowl-shape. Another excellent pollinator attractor, cosmos should be added to any organic vegetable, pollinator, or companion planting garden. Sunflower: We love the majestic appearance of a row of tall, thriving sunflowers. It’s not a surprise that they are heat tolerant plants – after all, they do seek the sun! Sunflowers will vary widely in height and appearance. Try several kinds to create visual interest and a happy patch of sunshine. Lavender: Organic lavender is a must for any herb garden, making relaxing teas, potpourris, and floral culinary treats. Full sun helps it flower best, and you won’t have to worry about the heat setting in. An established lavender plant will tolerate drought well, too. Simply trim back flowering stems as you are ready to use them, and lavender will continue to grow and thrive in nearly any condition. Hardy to zones 5-9. Thyme: A more traditional culinary herb, thyme is also an excellent ground cover and another medicinally-used herb. Unless you are up for a challenge, grow thyme from an established plant rather than from seed. After that, your main goal will be to simply keep it from taking over. Trim it back regularly and really well at the end of each growing season to keep it contained. Hardy to zones 5-9. Rosemary: Fragrant and lovely, rosemary is a heat tolerant shrub with delicate blue flowers. It can be propagated from seeds or cuttings, started indoors early in the year so that it has plenty of time to establish itself before fall frosts. Trim each year after it flowers, and plant in containers so that you can bring it indoors in the winter in colder climates. Hardy to zones 6-9.